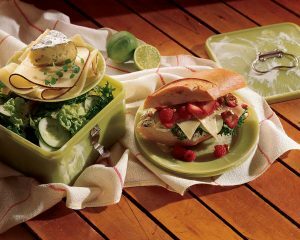 Mexican Rice with Salsa and Klondike Muenster – Klondike Cheese Co.
Rinse rice in sieve until water runs clear. Cook according to package directions, replacing the amount of water called for with chicken broth and placing one whole chile jalapeno in broth. Do not overcook – al dente rice is preferred. Remove from heat. Discard chile. Fluff rice with fork. Spread on a cookie sheet so the grains don’t sick together and cool. Preheat oven to 400 degrees F. Combine the creams in a bowl. 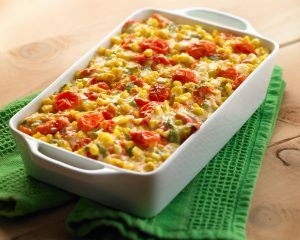 In a large 9″ x 12″ rectangular or oval baking dish, layer one-half the rice, salsa, cheeses and cream in that order. Repeat. Don’t overfill the dish. Bake for 40-45 minutes. Serve immediately.